Saracen Managing Director Raleigh Finlayson said Leonora High School and the community have been advocating for the program and Saracen saw the opportunity to make a difference. "We chose Shooting Stars given its proven track record in other regions, and the community had shown a high level of interest in the program," he said. "It has delivered real, tangible benefits by providing the framework and incentives for indigenous girls to take part in sport and improve their education." 50 girls are expected to take part in Shooting Stars when it kicks off in Leonora. Since Shooting Stars began in 2015, more than 60 percent of participants have maintained or improved their attendance rate across a full school year, with an average attendance rate of more than 80 percent per student, reported the Kalgoorlie Miner. The initiative also employs local women as managers with the majority Aboriginal. “We see this as an opportunity to come together as an industry and have a positive impact in a regional community, so we will also be working with Shooting Stars to attract support from other companies in the region to ensure the program is fully funded beyond the initial start-up," Raleigh said. "We a proud to support this community education program and our local employees are also looking forward to getting involved and participating in the program at Leonora High School," he concluded. 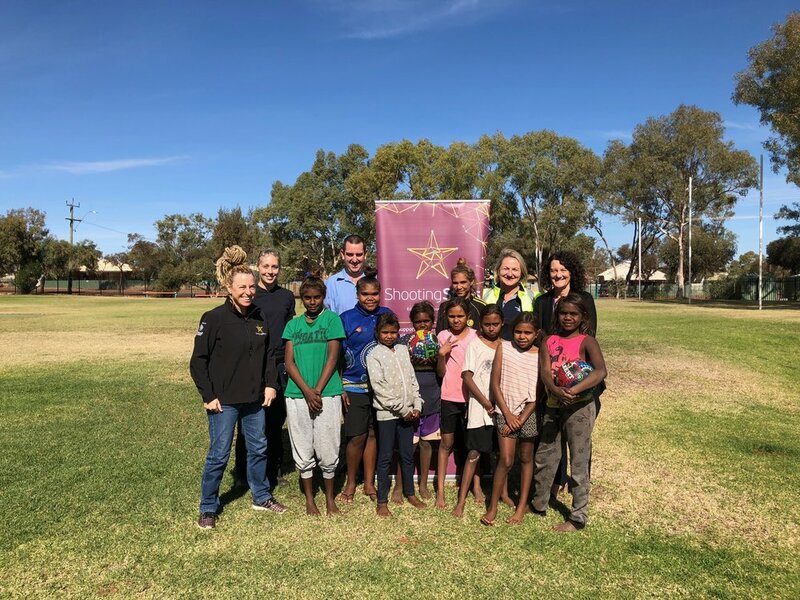 Shooting Stars Executive Officer Fran Haintz told the Kalgoorlie Miner that netball was just one the the engagement tools the program uses depending on what's going on in the community, such as AFL and dancing. The educational program by Netball WA is already successfully supporting more than 300 students across seven regional communities.